Could A Skyscraper Colony Be Key To Stockholm's Housing Future? 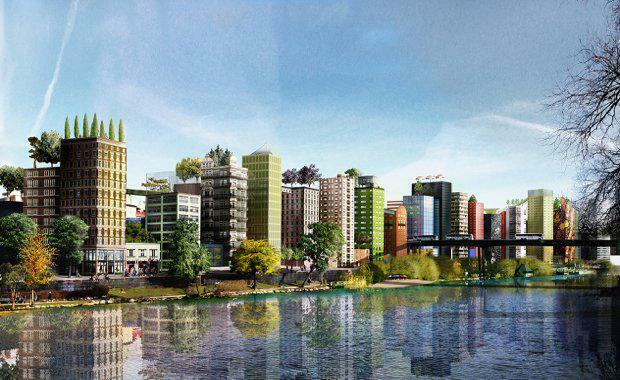 Anders Berensson Architects have revealed their proposal to design a new city area in central Stockholm, looking up instead of out to house Stockholm's growing population. Their concept is to convert Stockholm's old railway tracks into high-density housing, connecting these high-rise towers by aerial walkways for residents to move around as they please. Commissioned by the Stockholm Centre Party, the architects were asked to make a dense and green city on top of the train track area next to Stockholm Central Station. Dezeen, The Klarastaden scheme will be made up of a group of skinny tower blocks, intended to densify the neighbourhood that boarders Stockholm's Klara Sjö canal. Anders Berensson Architects believe one of the most sustainable ways to accommodate population growth in the city is to densify established neighbourhoods and take advantage of existing infrastructure.